Just after a few days here’s another release of sharphook. As always happens I had some requirements from another application I’m working on so I needed to improve sharphook as well. Actually it’s not a real improvement, but a bugfix release since I found out Modifiers keys were not treated the way a normal WinForm application would do. 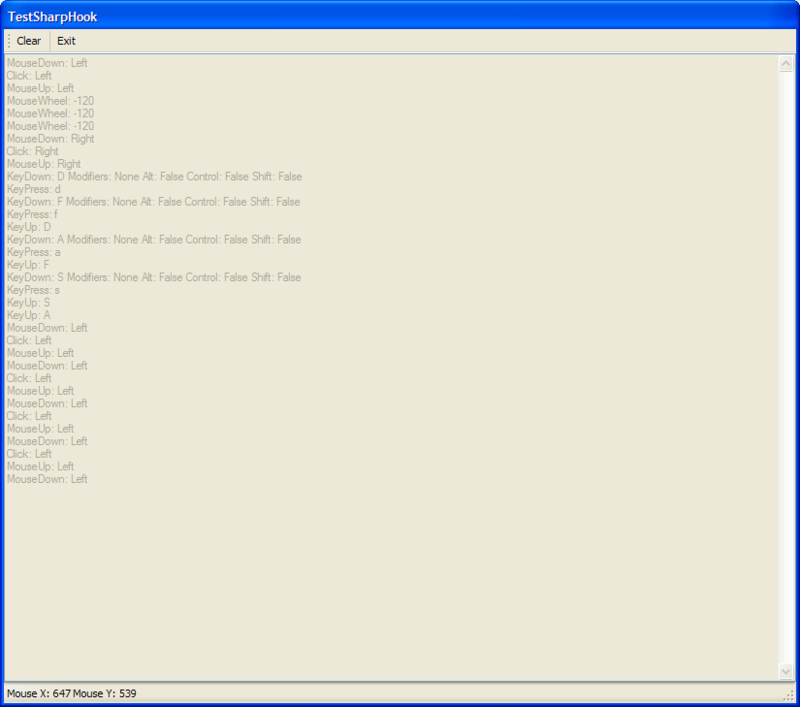 In the process I also fixed KeyPress combinations which were excluded because of system keys. 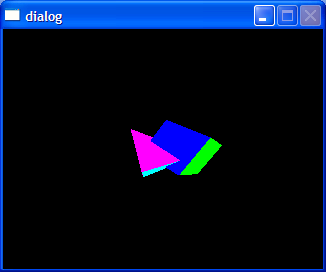 This entry was posted in sharphook and tagged .net, c#, keyboard hook, mouse hook, win32 api on July 28, 2011 by ElvenProgrammer. 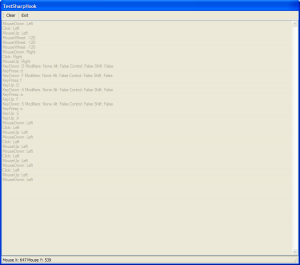 I had some changes laying around so I decided to publish a new release of my .NET keyboard hook. One of the main improvements is that sharphook is no longer only a keyboard hook, it now support mouse events. Feel free to integrate mouse clicks, wheel movements and more in your application. 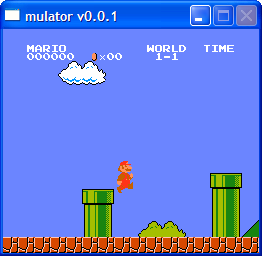 This entry was posted in sharphook and tagged .net, c#, keyboard hook, mouse hook, win32 api on July 26, 2011 by ElvenProgrammer. 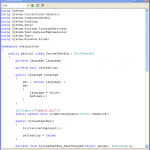 Planning on adding syntax higlighting support to your .NET application? 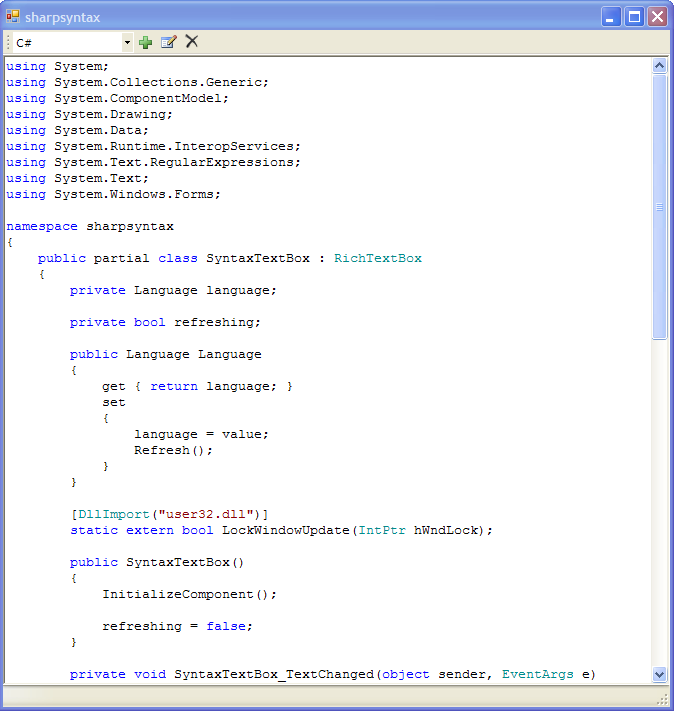 This entry was posted in sharpsyntax and tagged .net, c#, richtextbox, syntax highlighting on September 17, 2010 by ElvenProgrammer.